Purple cabbage, also called red cabbage, is one of the most beautifully colored veggies. The brilliant purple color is attributed to anthocyanin, which is a flavanoid and antioxidant also found in blueberries, grapes, and eggplant. 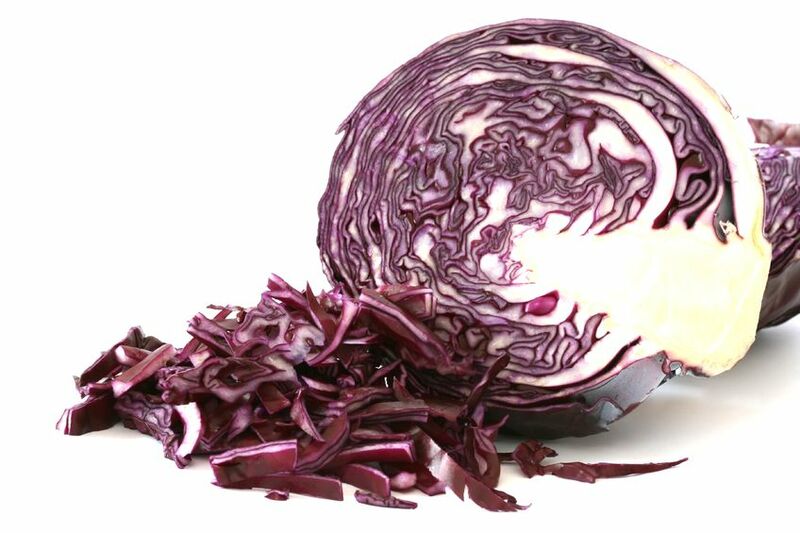 Cabbage is part of the brassica family and contain sulphur which aids in the liver’s natural detoxification processes. I like cabbage many ways, but I love this recipe for breakfast with a fried egg on top. It is one of my favorite ways to eat cabbage and my favorite way to get veggies in for breakfast. In a large saute pan over medium-high heat, add the avocado oil and heat. Add the onion, garlic and ginger and saute, stirring, for 1 minute. Add the coconut aminos and rice vinegar and stir well and cook just until cabbage is wilted, about 3 minutes. Remove from heat and sprinkle with toasted sesame seeds. Comment below and tell me your favorite way to eat cabbage. Where do you get coconut aminos? Coconut aminos is a replacement for soy sauce. Conventional soy sauce (the kind served in Chinese restaurants) has components of soy that can affect hormone balance. However, there is a better type of soy sauce called tamari sauce. Tamari is a traditionally fermented soy sauce which can be found at health food stores. Then there’s coconut aminos which does not have soy in it at all.